Manchester City winger Leroy Sané was given special permission to cut his international duty short so that he could be with his girlfriend at the birth of their first child. 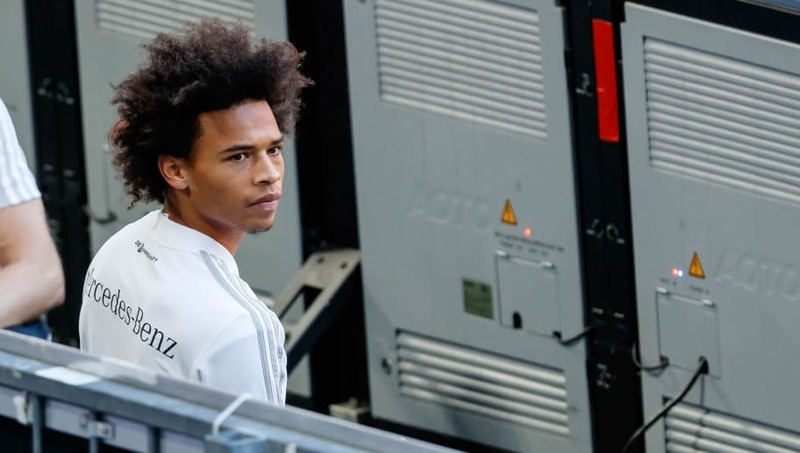 Initially, it was reported that Sané had simply been allowed to leave the Germany camp under the vague title of 'private reasons', something which sparked some fans to suggest his rumoured attitude problems were starting to appear with Die Mannschaft. However, it has since been confirmed that the 22-year-old was actually allowed to leave so that he could be with his partner Candice Brook, who gave birth to a baby girl. "My granddaughter was born yesterday, we are very happy," Sané's father told Bild. "Her name is Rio Stella." Sané was introduced as a second half substitute in Germany's goalless draw with France on Thursday, where an impressive debut from Alphonse Areola was the biggest talking point at the Allianz Arena, as well as a clash between Chelsea defender Antonio Rüdiger and Stuttgart's Benjamin Pavard. The Manchester City star will now miss Germany's international friendly against Peru on Sunday, before returning to the Etihad where the former Schalke winger will prepare for a Premier League clash against Fulham. City have enjoyed a near-perfect start to the campaign and many believe that Pep Guardiola's side will retain the league title this season. However, a surprise draw against newly promoted Wolves has proved to be an early dent in the club's title hopes.